Filled with tradition, Barn Star is a unique, historic and sophisticated wedding venue with all modern conveniences to make your perfect day … perfect! 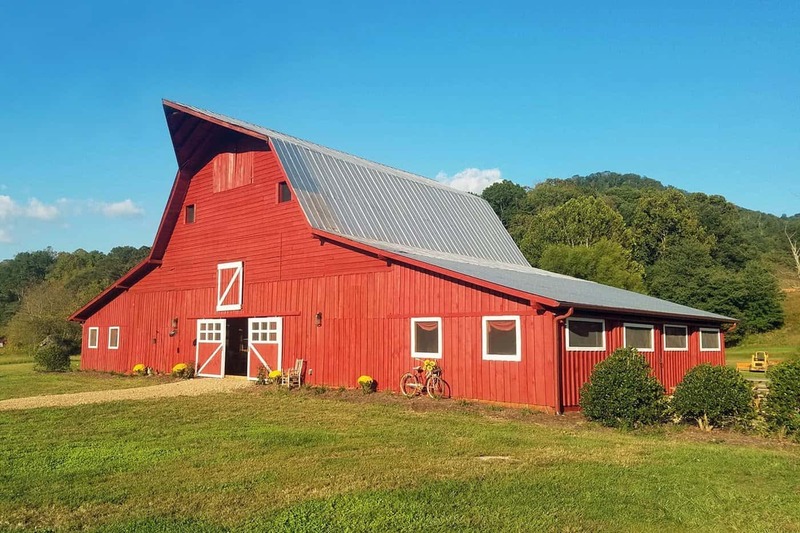 Located near Maggie Valley, in the heart of Jonathan Creek, our barn has been in the Boyd family since it was built in the 1940’s by our grandfather, Julius Boyd. Recent renovations include beautiful stained concrete floors, in-house restrooms, a spacious bridal suite, sitting silo, kitchen staging area, lighting and sound, all the while keeping the beauty and charm of an authentic barn. Family relics align the catwalk and walls to bring heritage and romance to our venue. Outdoor ceremony area available. No other location for your wedding and reception can entertain your guests and provide such a level of convenience and atmosphere as Barn Star Events. The barn itself will be the backdrop for wedding ceremonies and the barn providing full enclosure, restrooms, catering for up to 175 guests seated inside and 250 total surround space. We are ready and available to book your next event! Contact us today about our deals and specials for 2017 and 2018!